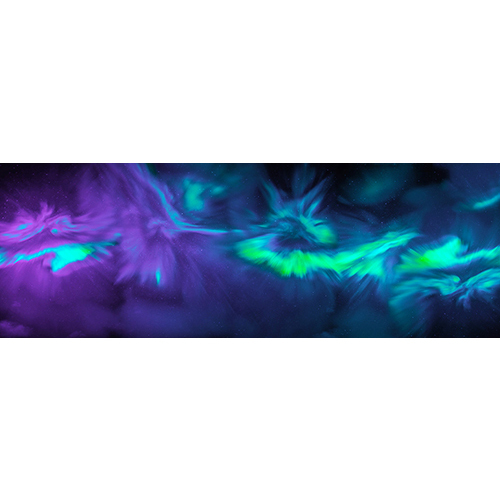 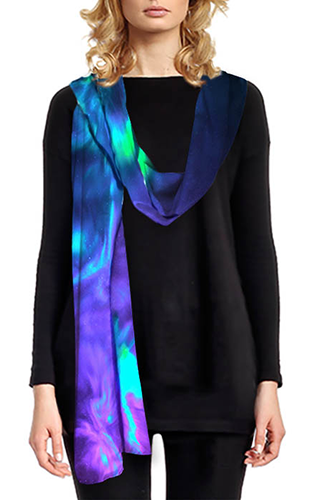 The colours in this scarf are so stunning, and shine out all as the auroras do in the Arctic night skies - if you are lucky enough to catch them. 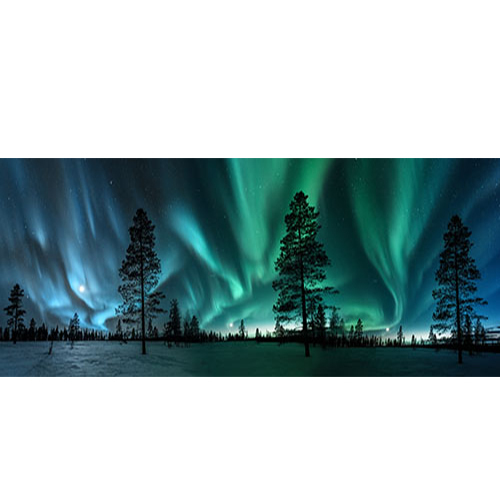 Photographing auroras is extremely difficult, not least because the results are so unpredictable, and it takes stratospheric levels of technology, expert skill and dedication to achieve the high quality images we are privileged to be using. 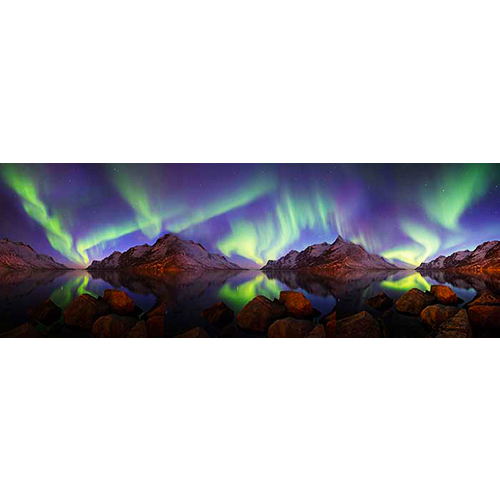 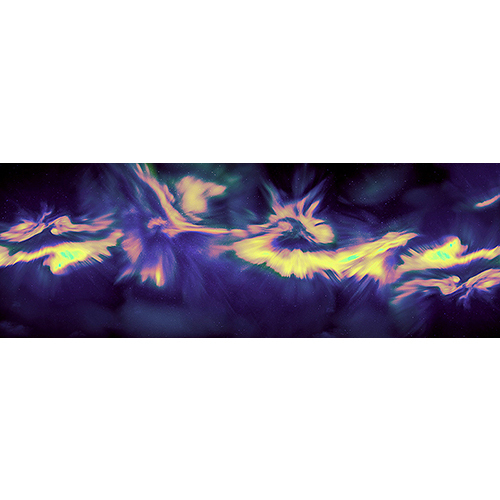 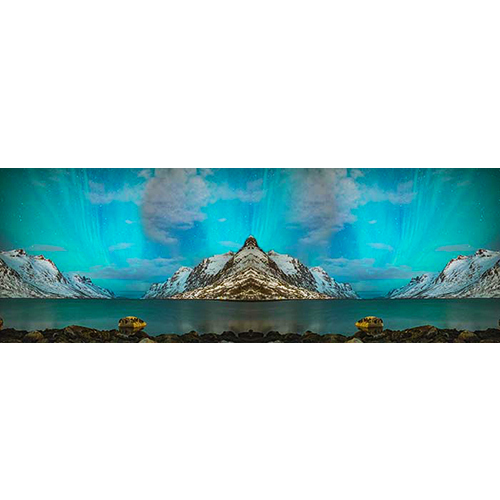 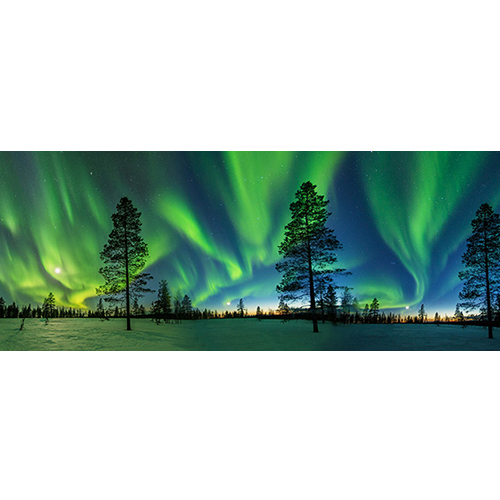 We are so pleased to offer Andrew’s images exclusively for scarves, and offer a heart felt thank you to him.